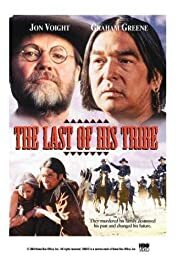 The Last of His Tribe (1992) | Khaanflix | Watch Latest Box-Office Movies Online for Free! The story of Ishi, the last survivor of the Yahi Indians of California. Befriended by an Anthropologist (Jon Voight) who is able to speak Ishi's language, he is a gold mine of information about his tribe's way of life. A doctor (David Ogden Stiers) broadens Ishi's horizons and is another friend in a largely unfriendly world.